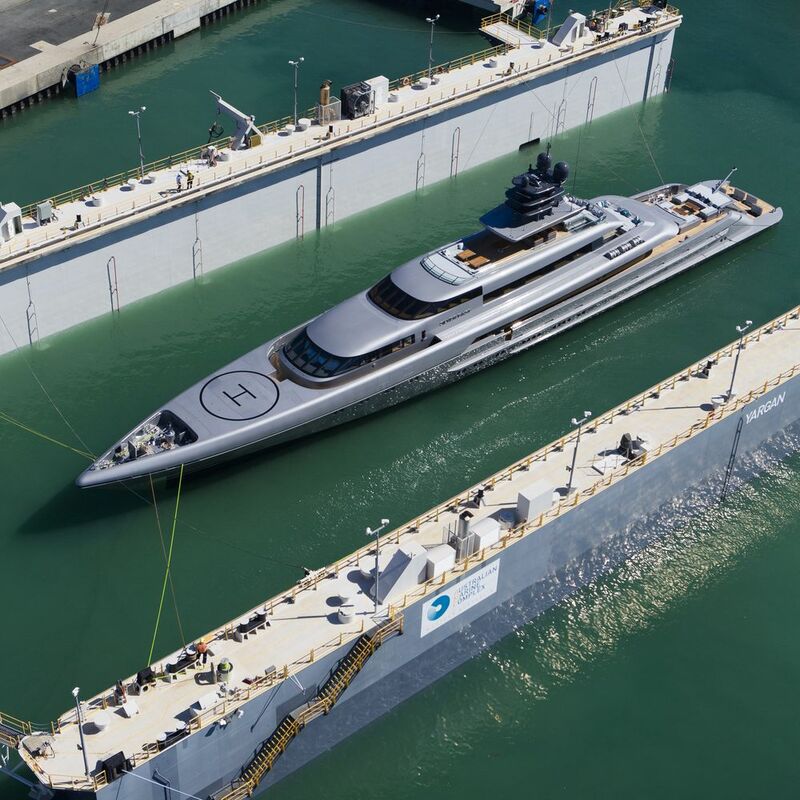 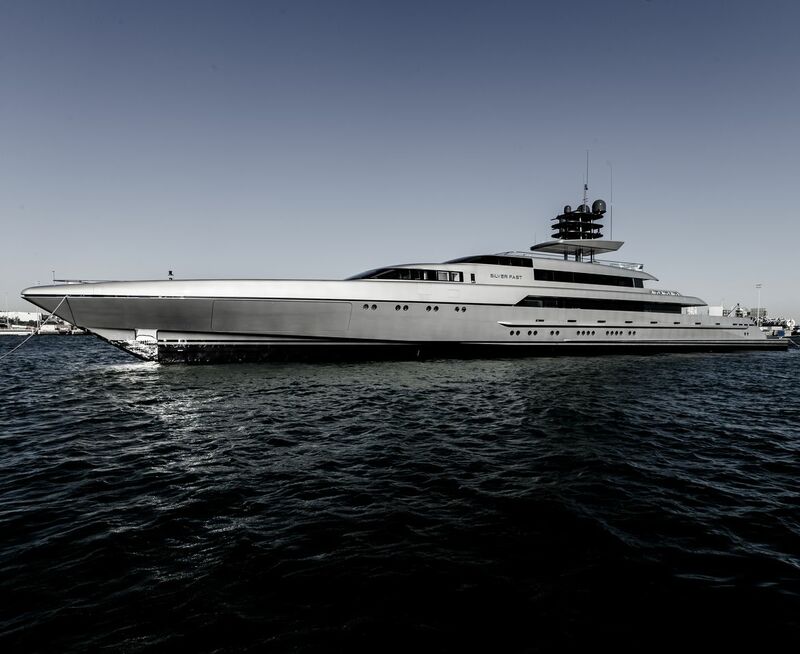 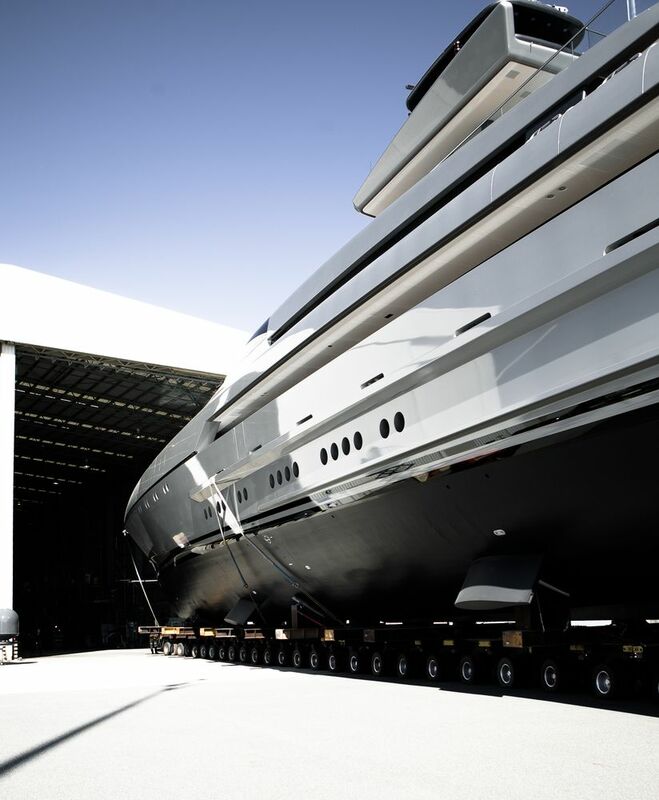 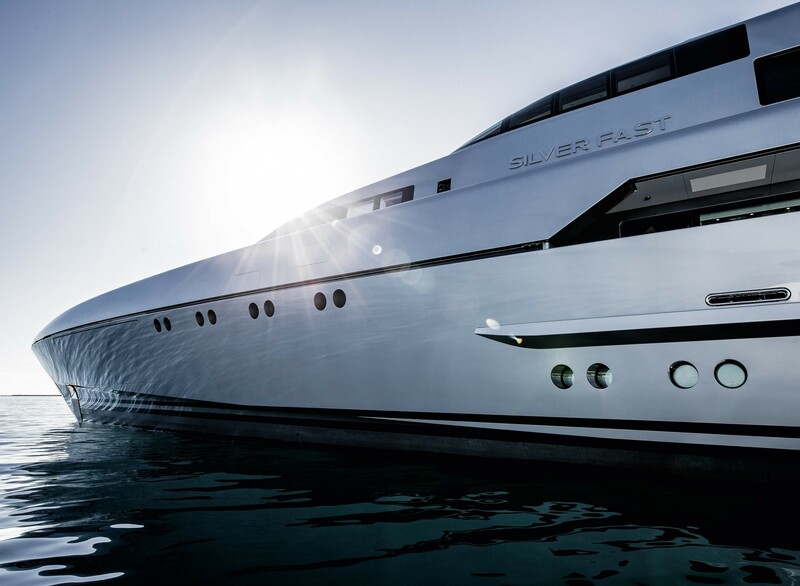 With launch in 2015, the impressive 77m motor yacht Silver Fast (ex Suvretta) is a magnificent semi-displacement vessel, built by the well known Australian shipyard, Hanseatic Marine, now known as 'Silver Yachts'. 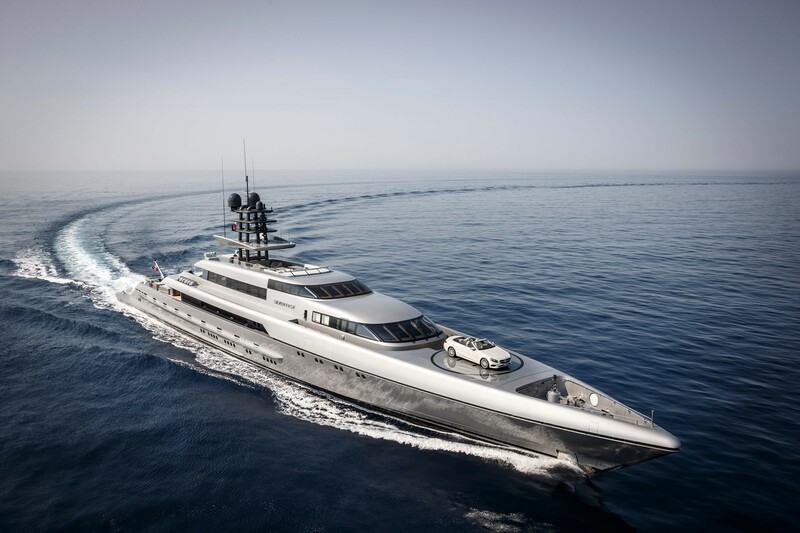 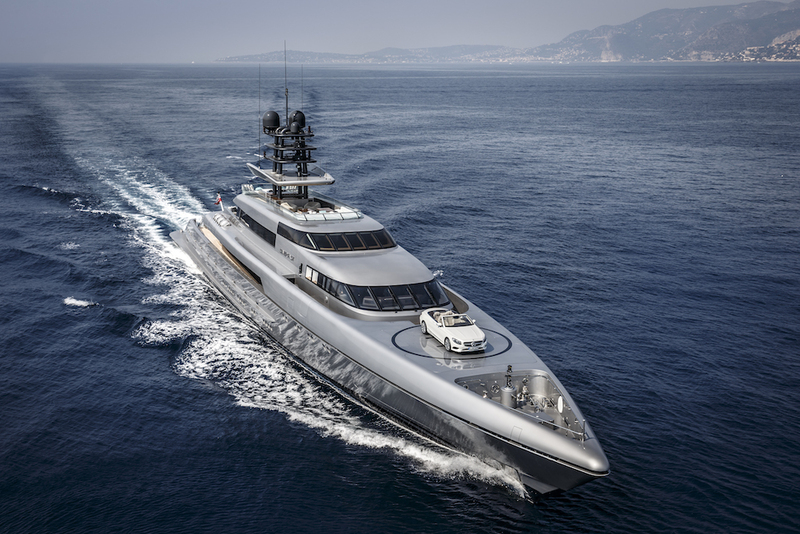 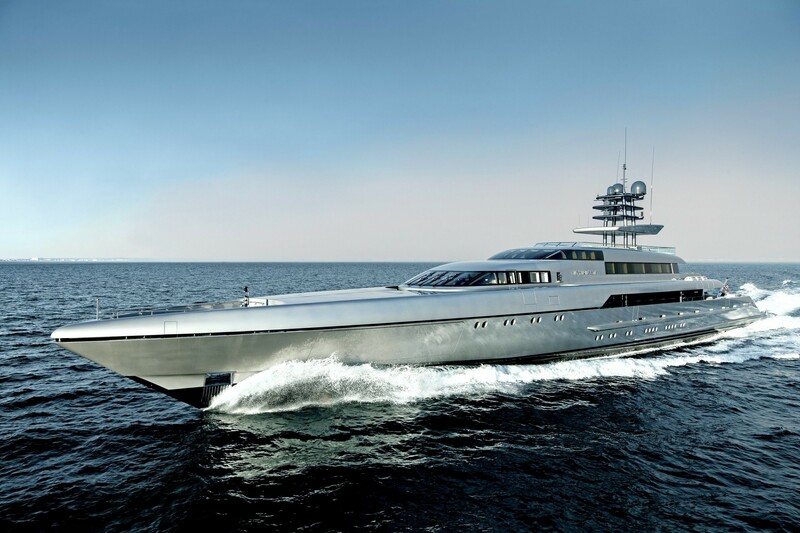 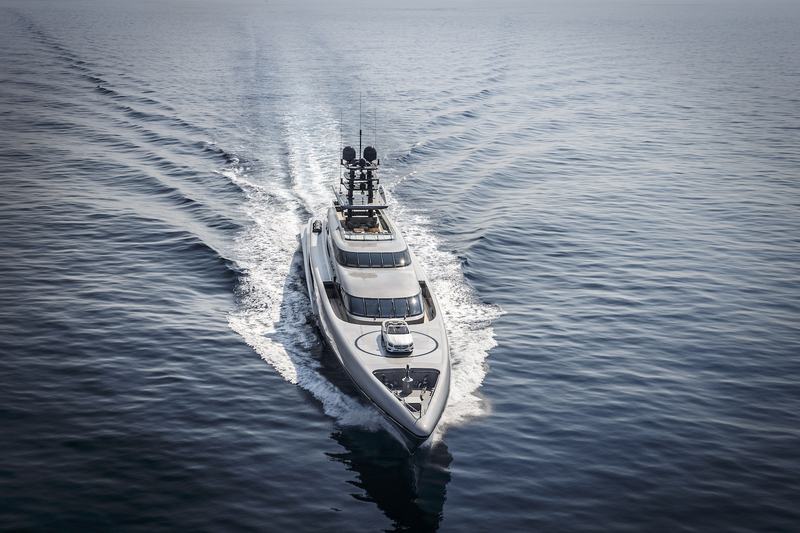 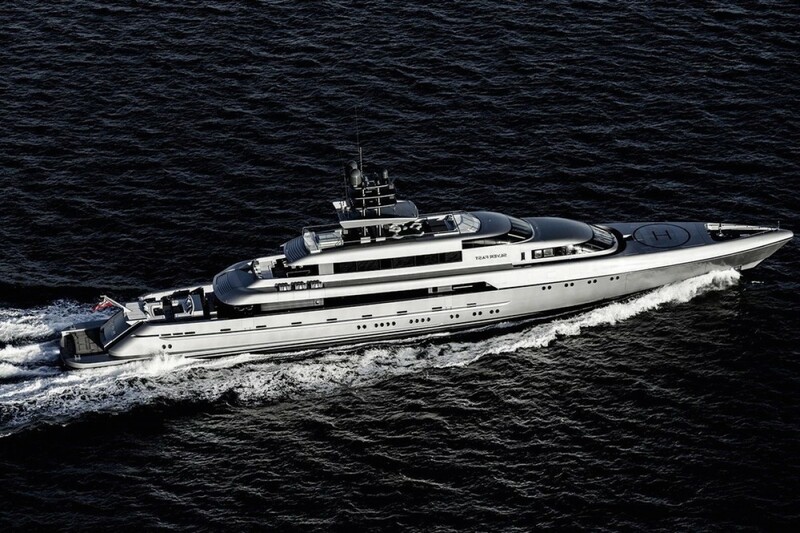 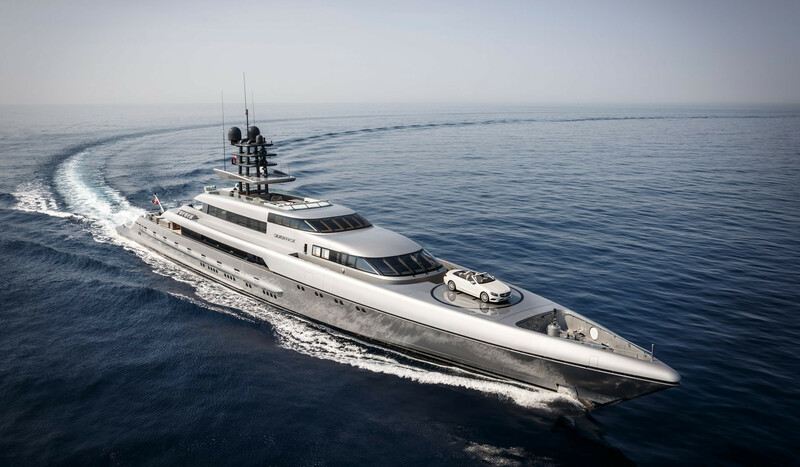 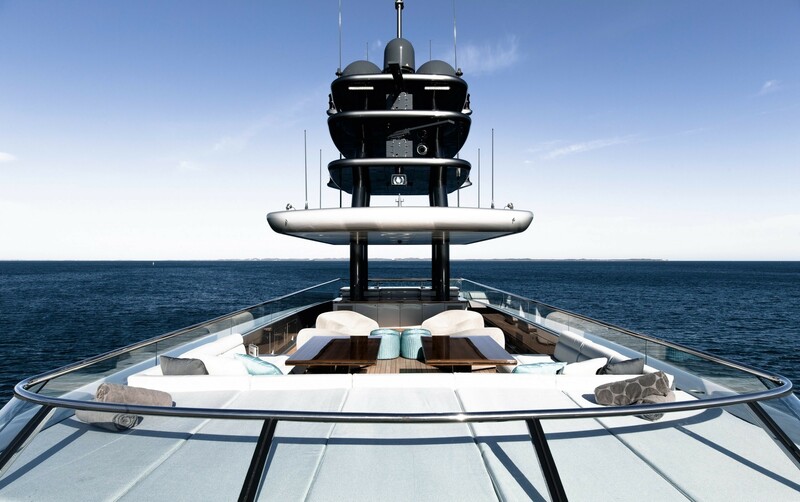 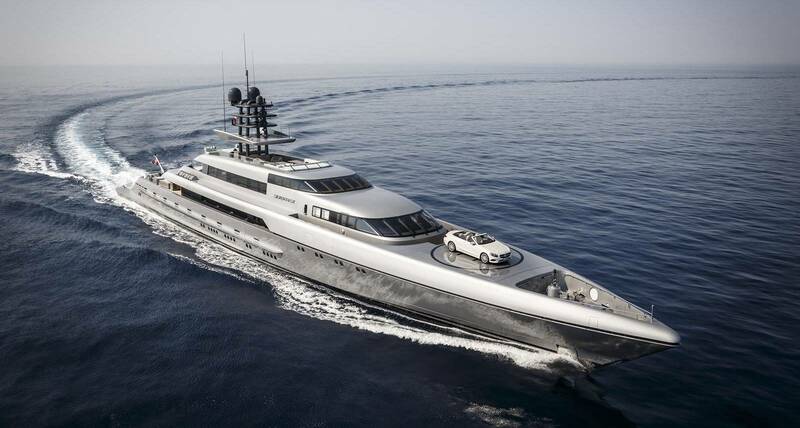 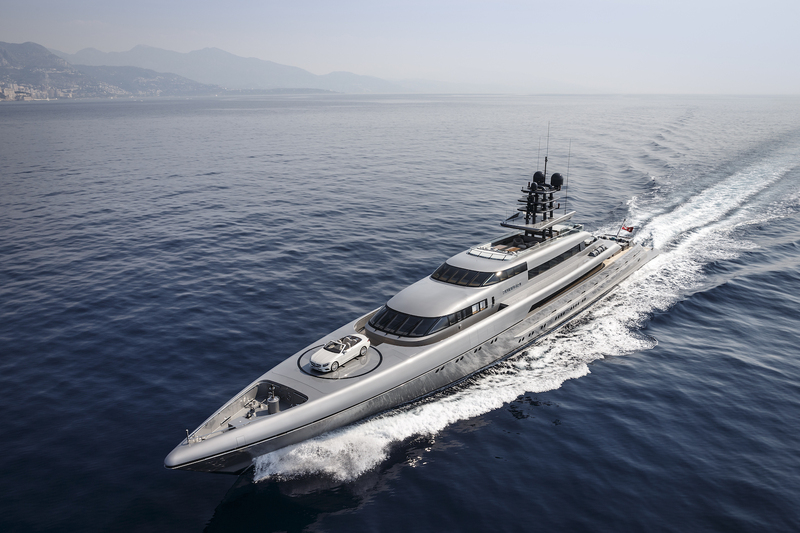 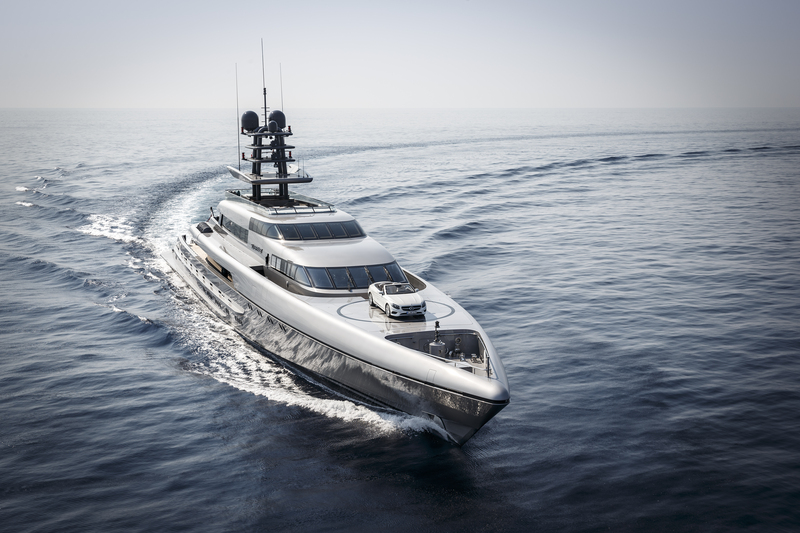 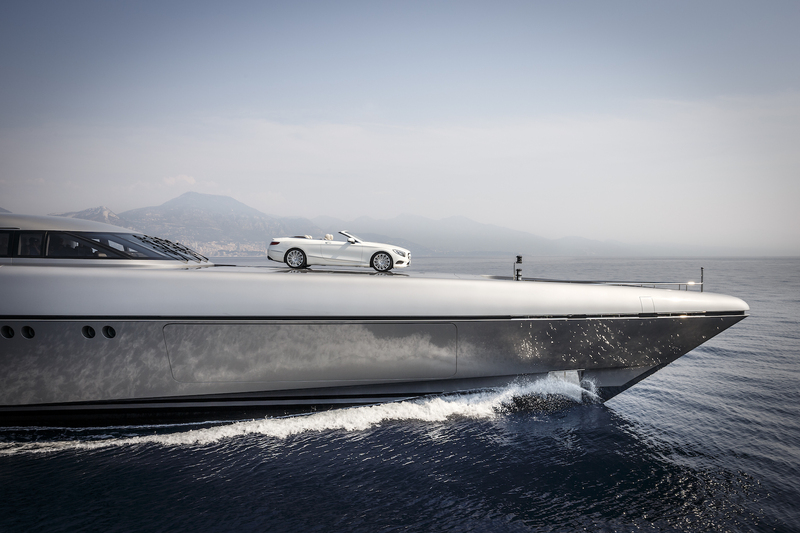 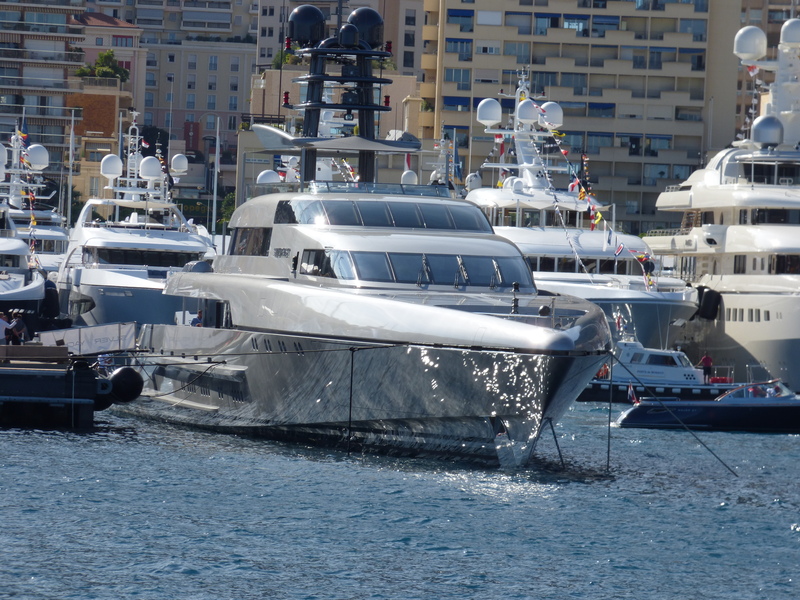 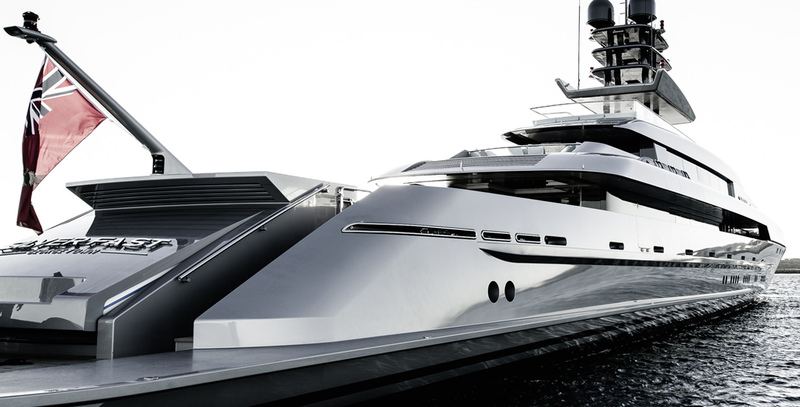 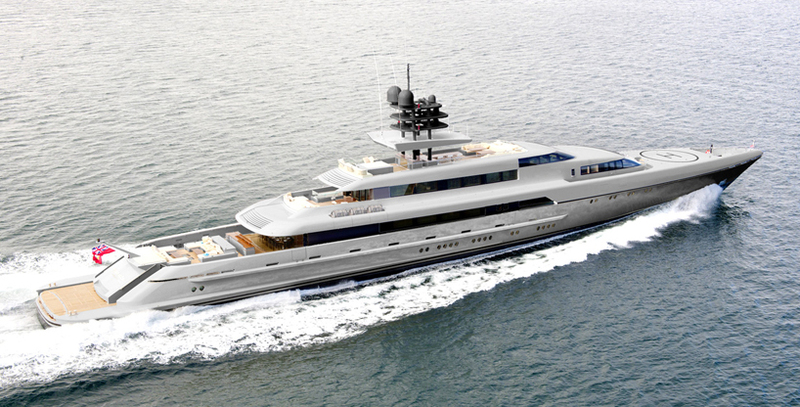 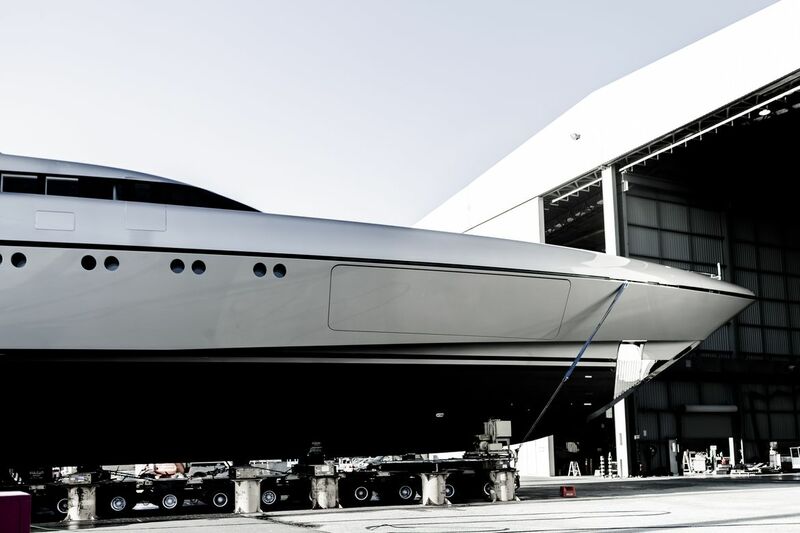 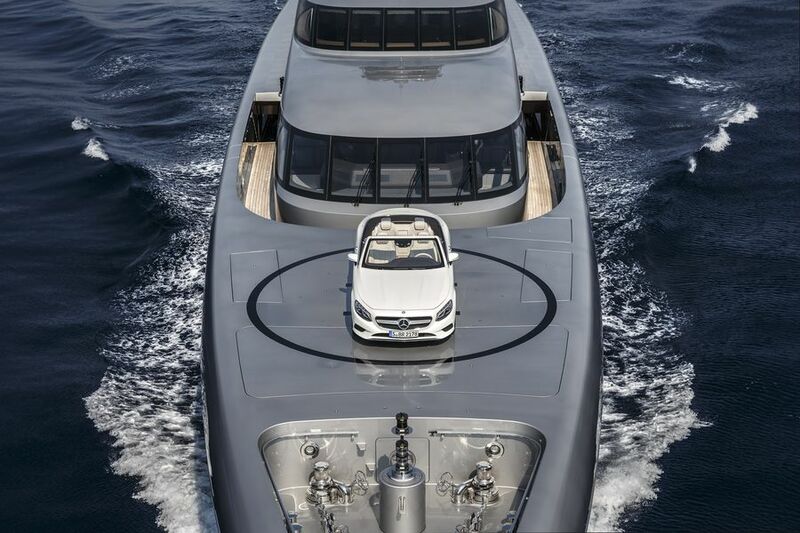 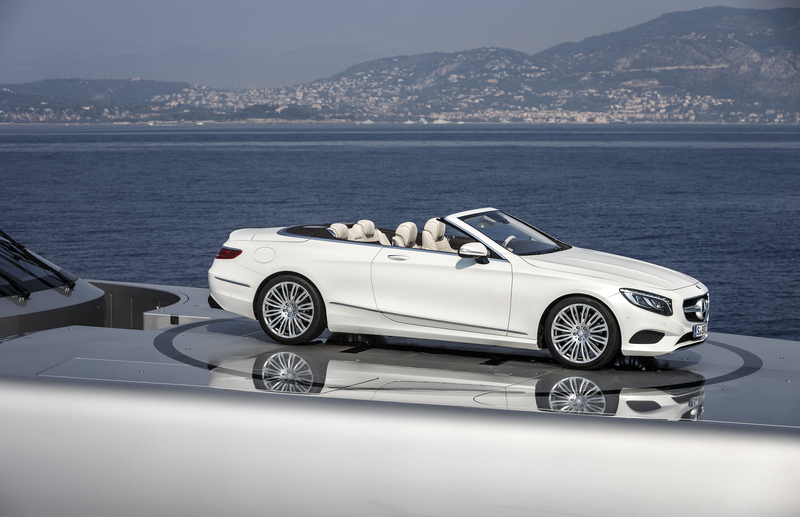 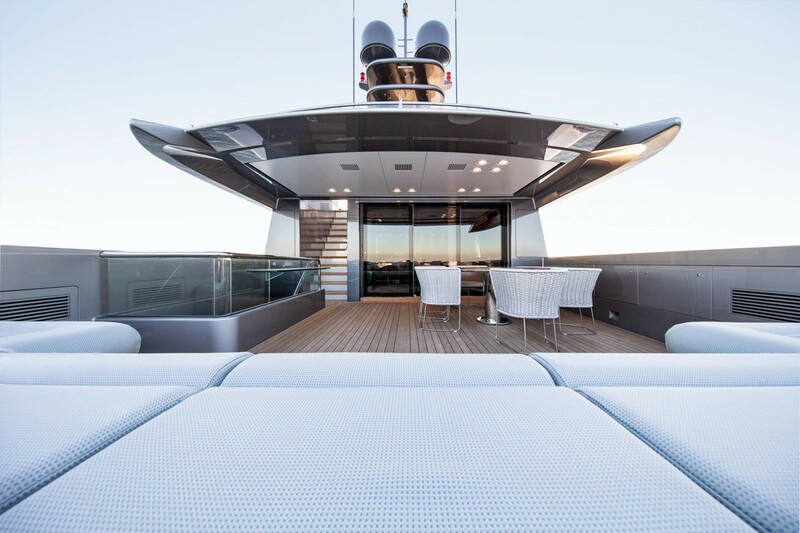 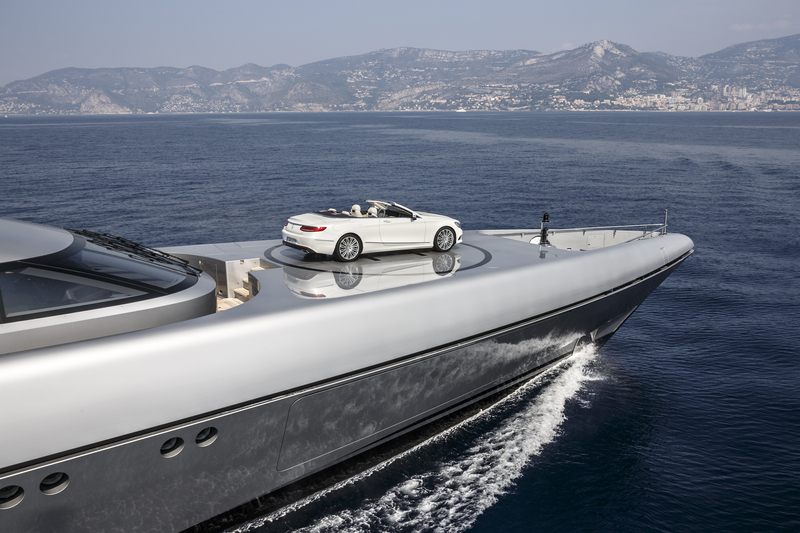 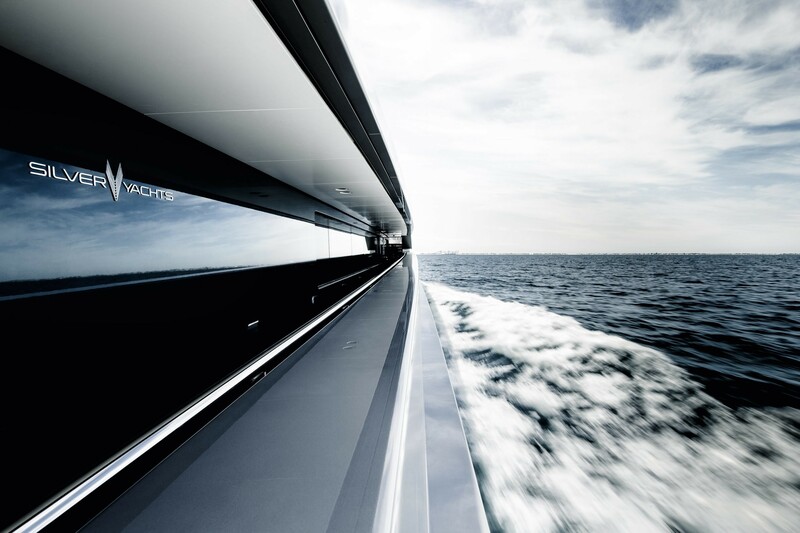 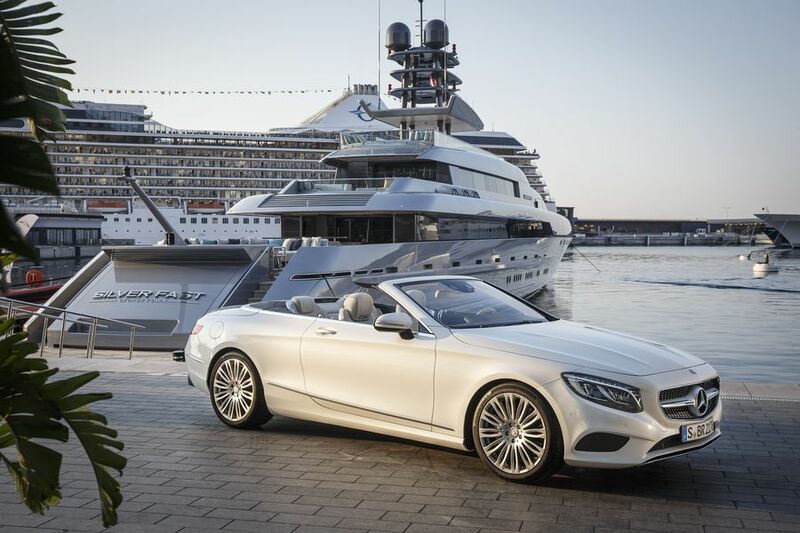 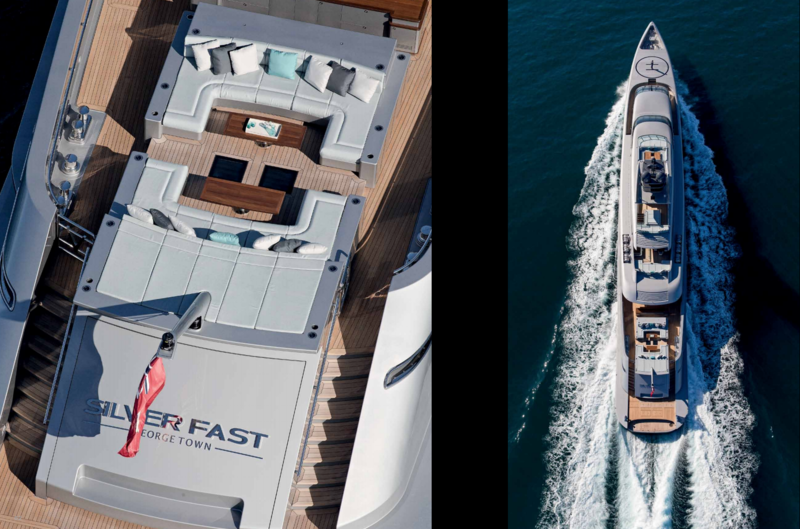 Silver Fast has exterior by bespoke Espen Oeino, with interior by Vain Interiors. 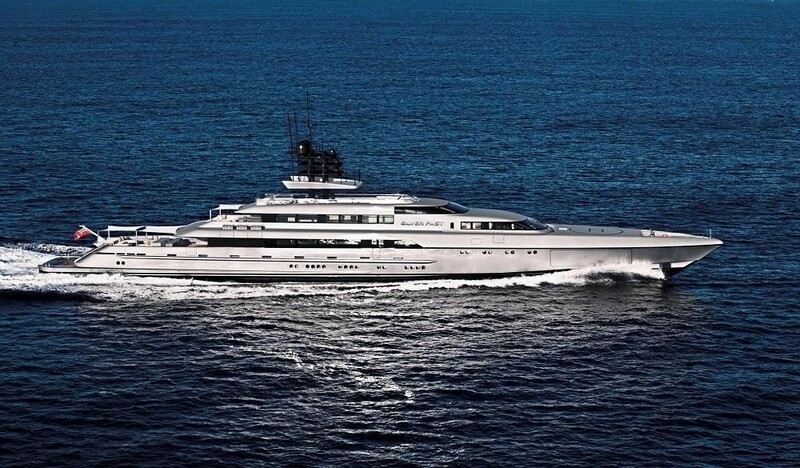 She offers accommodation for 12 guests. 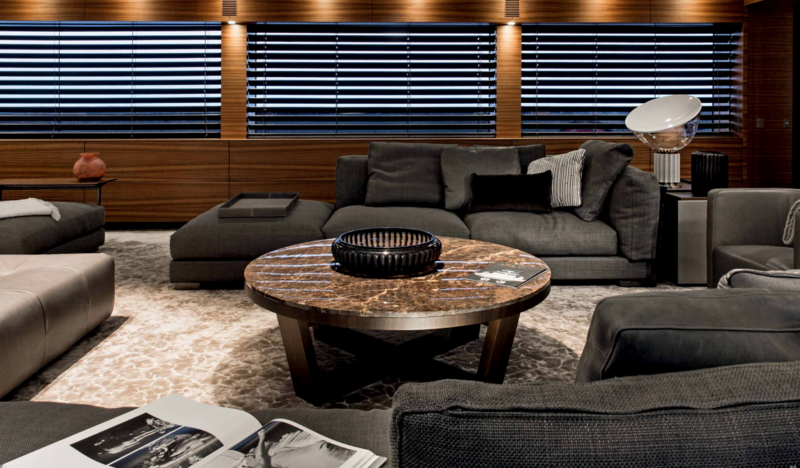 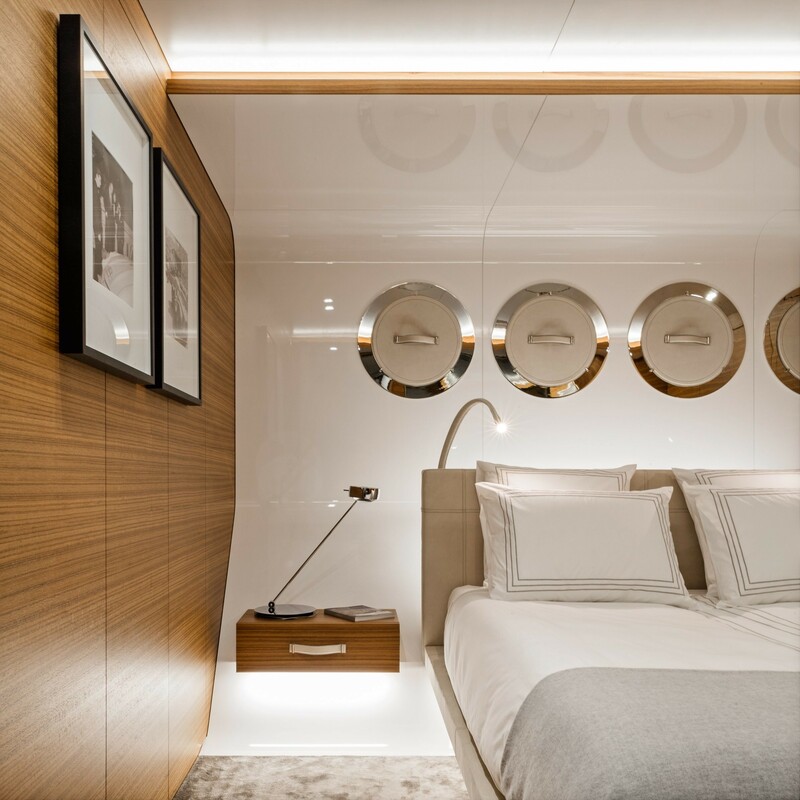 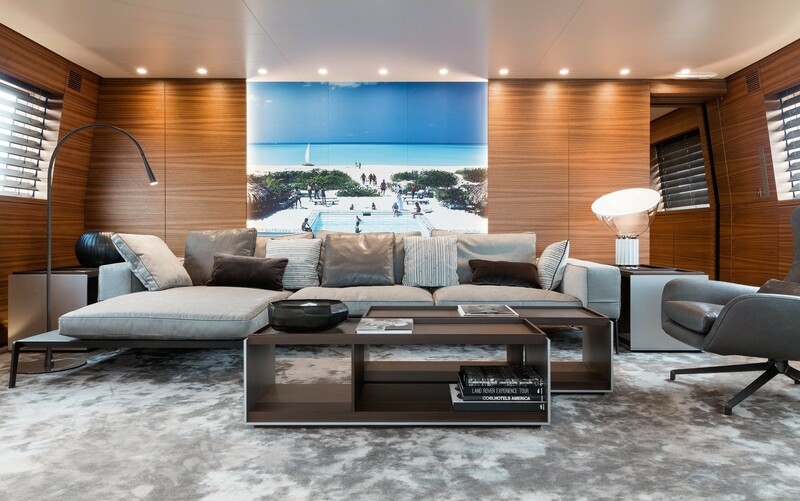 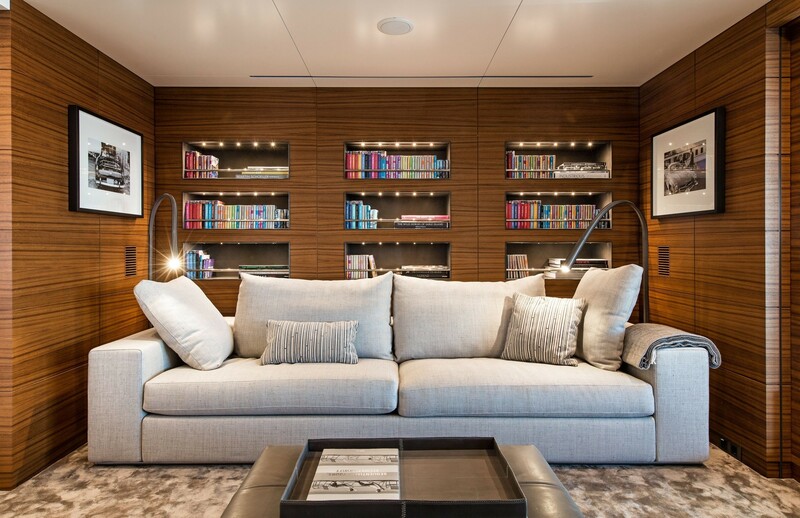 The contemporary interior of the yacht decor boasts luxurious leather, lavish fabrics, wood panelling and other superb elements. 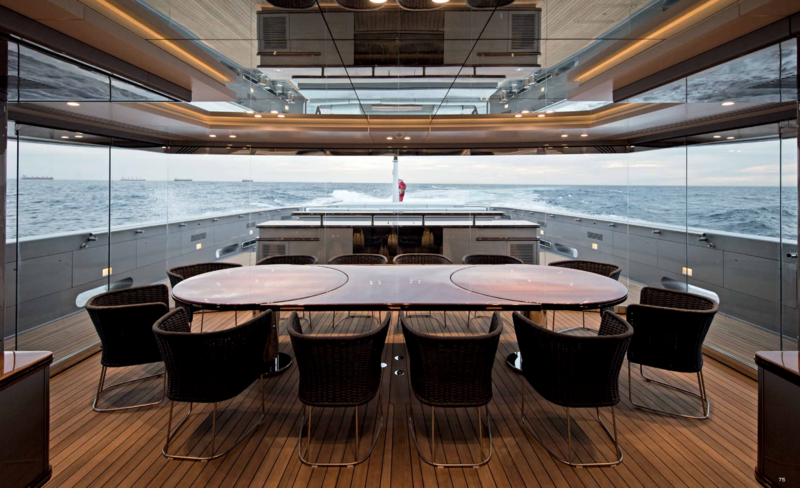 The main deck salon offers lounge and dining areas. 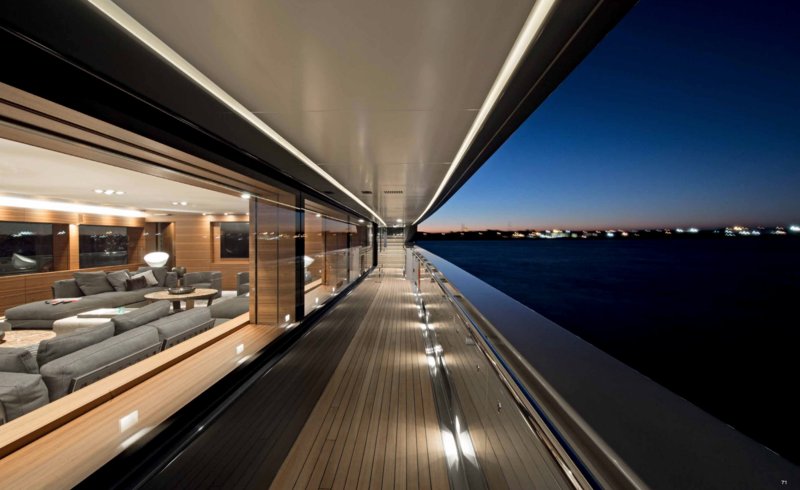 On this deck, there are also VIP cabins with, each with an ensuite. 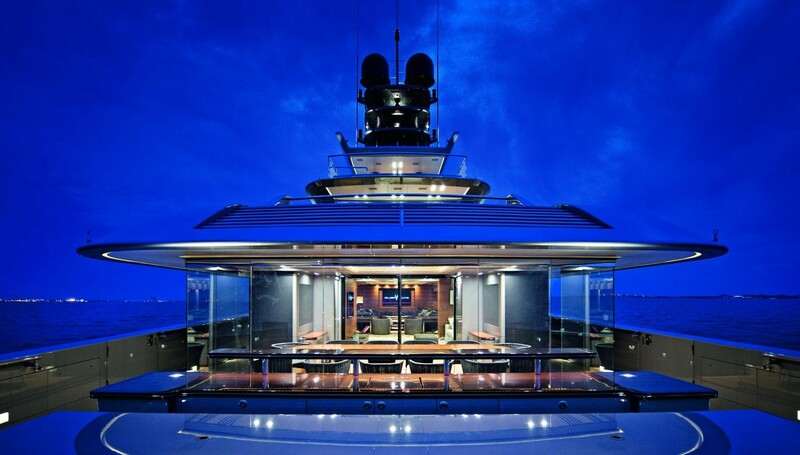 The galley is on the port side, as well as the day head, stairway and companionway starboard. 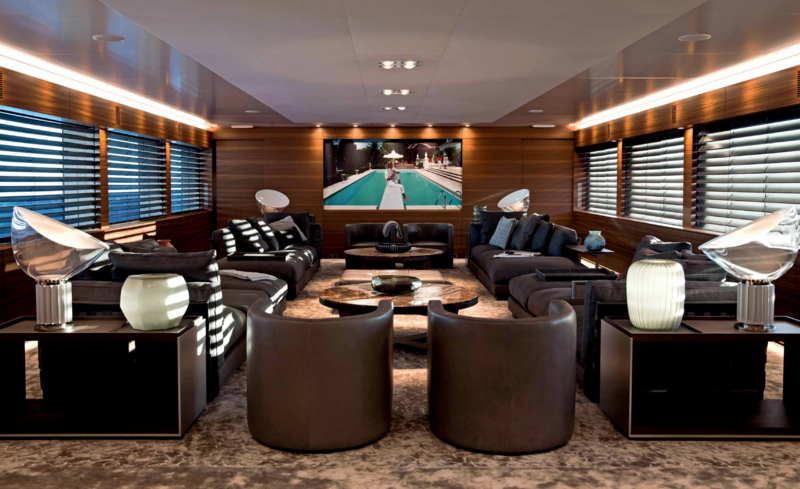 Guests can enjoy favourite movies in the theatre room and relax in the winter garden also located on the main deck. 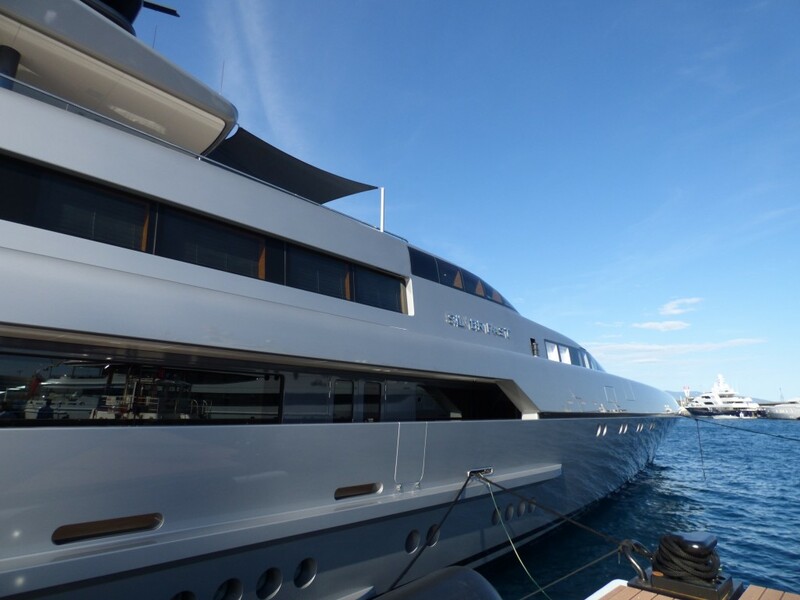 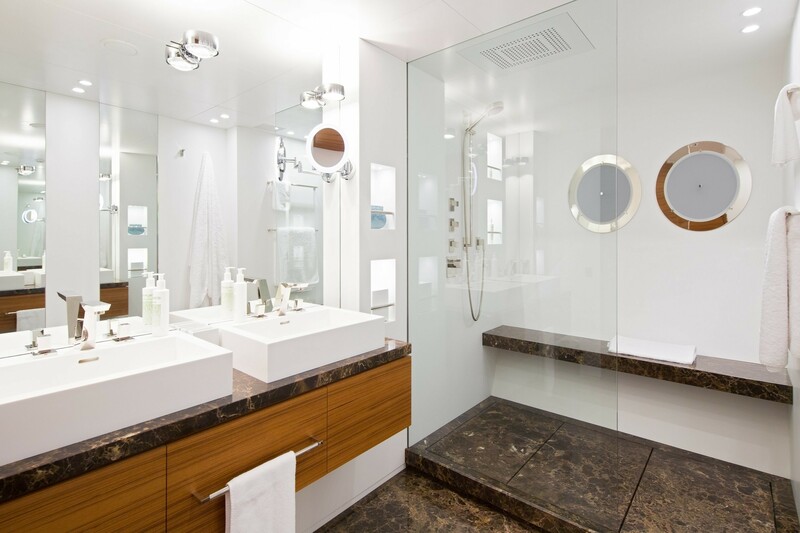 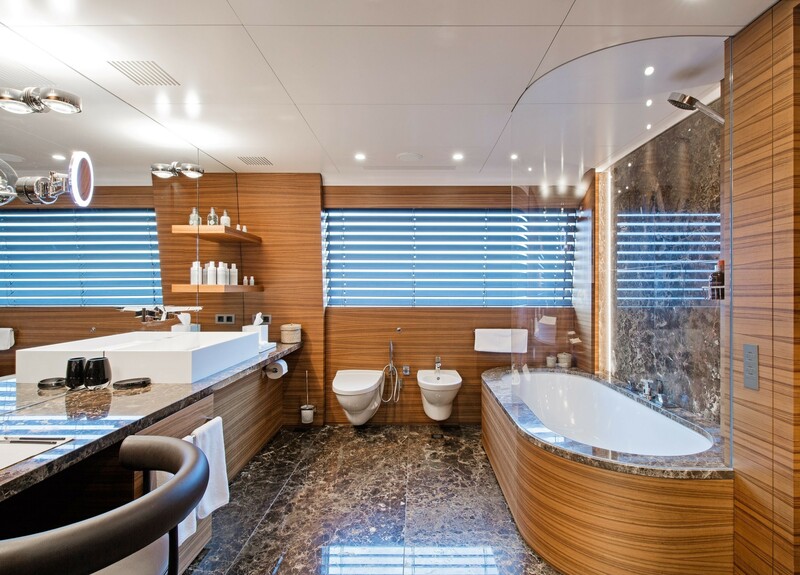 The owner's deck features a massive stateroom with his and her bathroom facilities, separate salon and outdoor area. 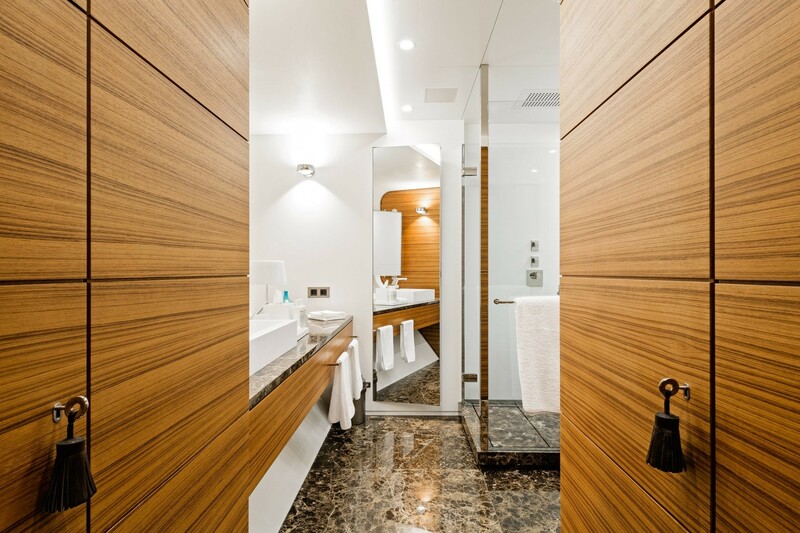 The lower deck aft hosts a vast beach club, gymnasium, massage and beauty treatment rooms, and sauna. 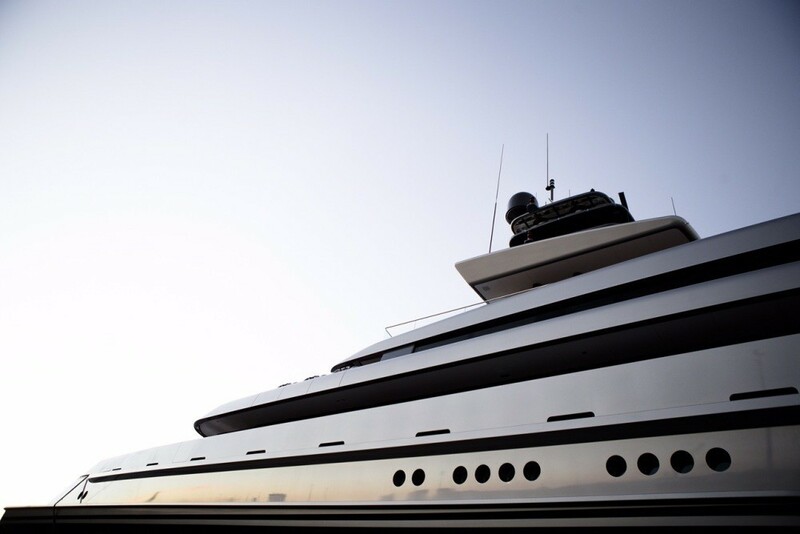 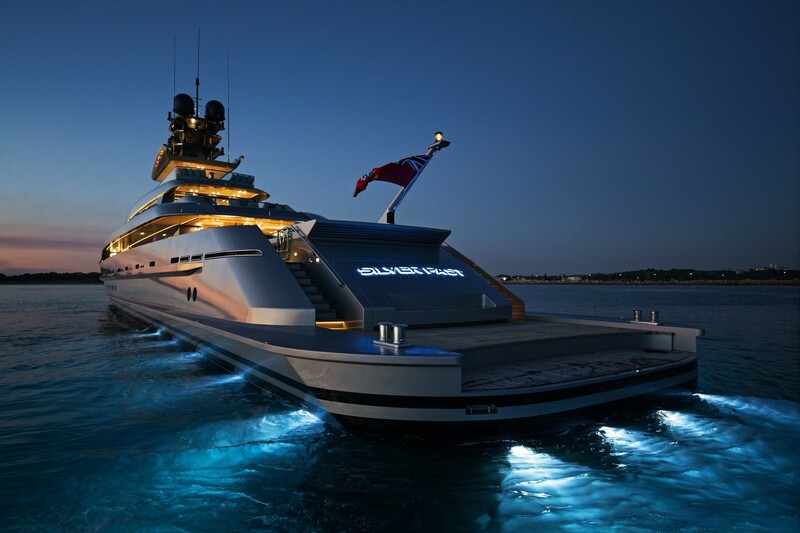 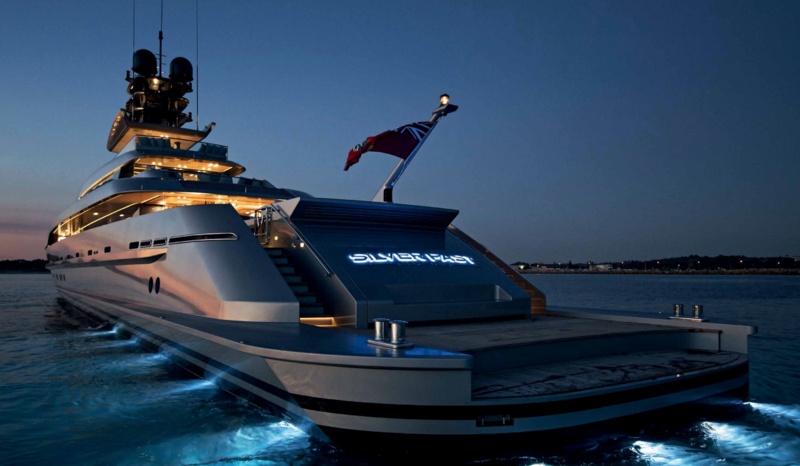 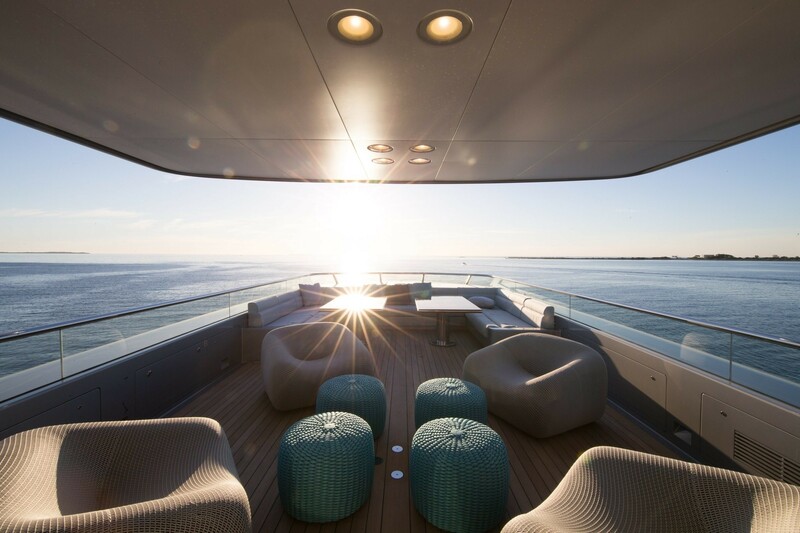 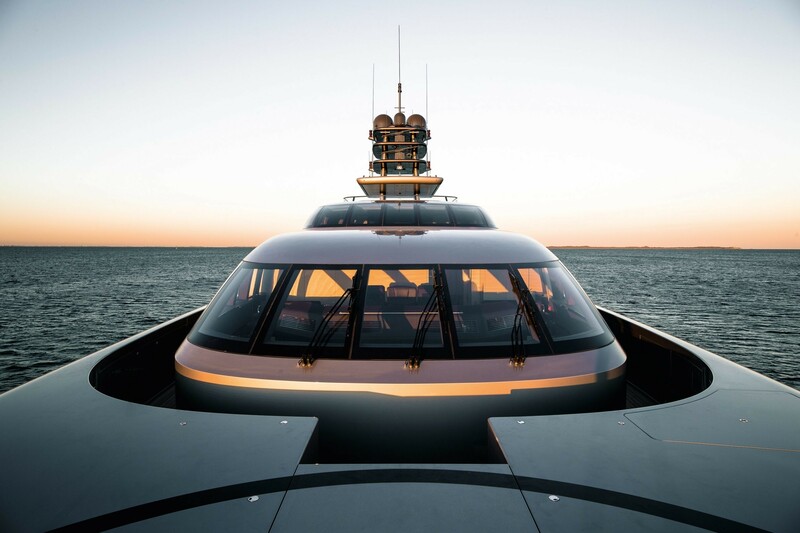 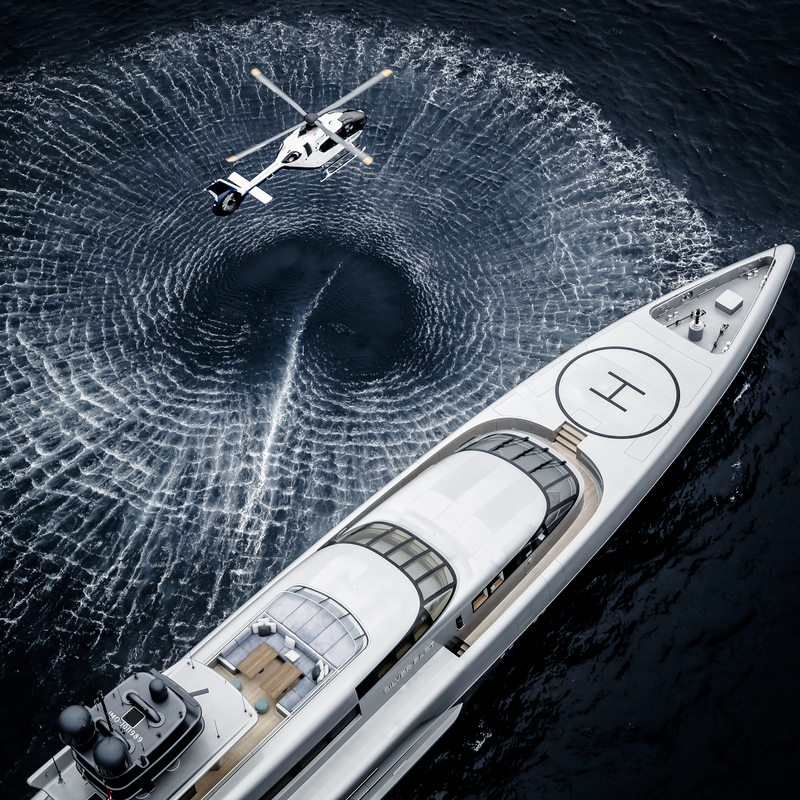 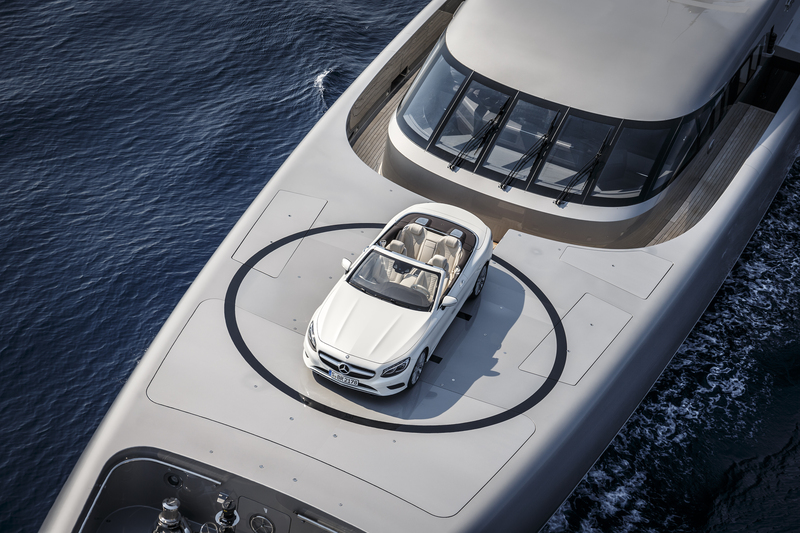 Moreover, this striking vessel boasts a customised 8-person jacuzzi pool, bar and lounge on the sundeck. 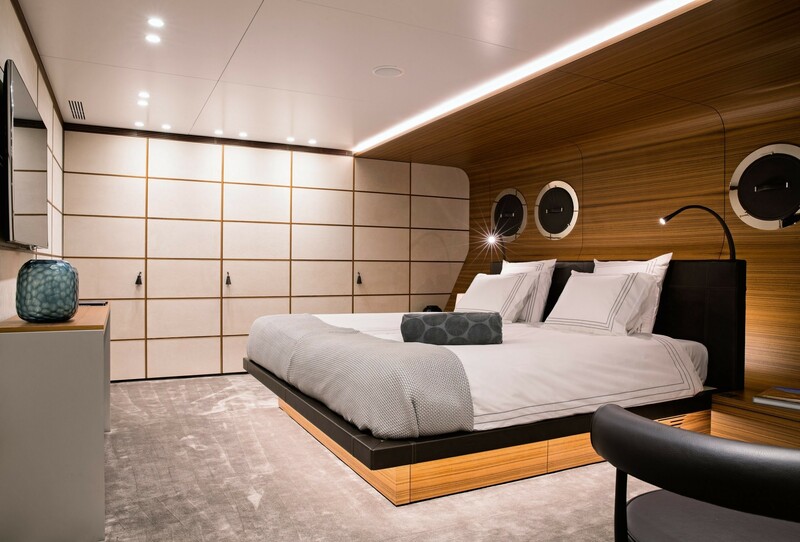 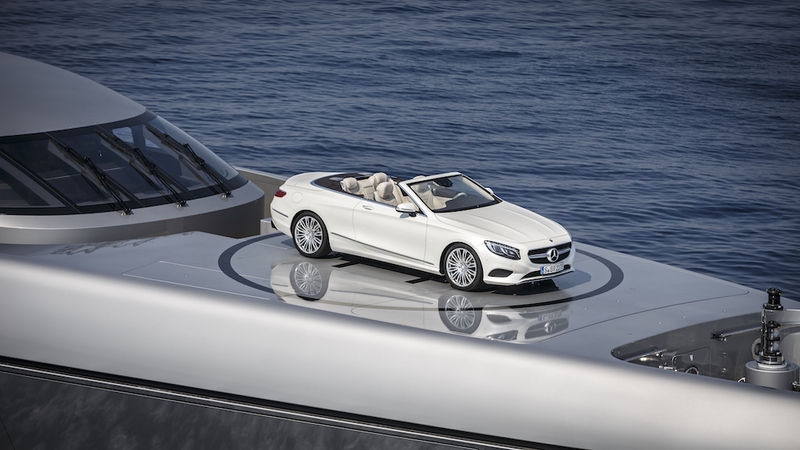 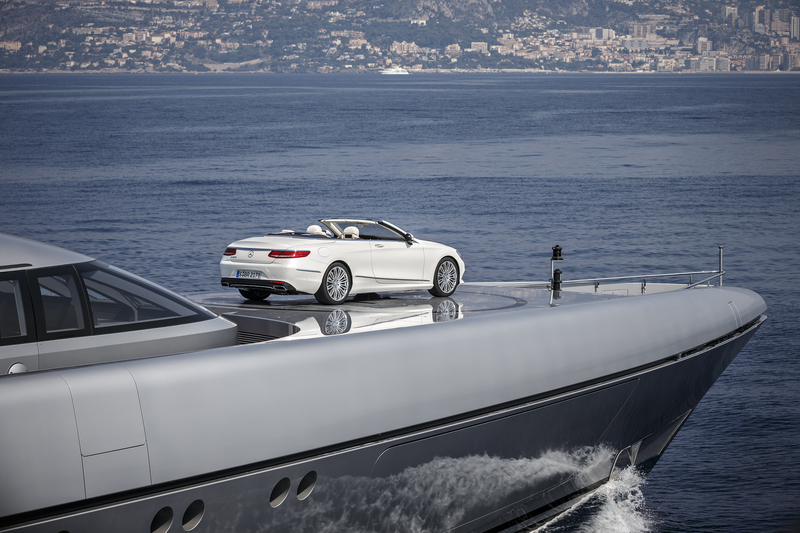 The tender garage is located on the main deck and is spacious enough to store two 7.4-metre custom built tenders. 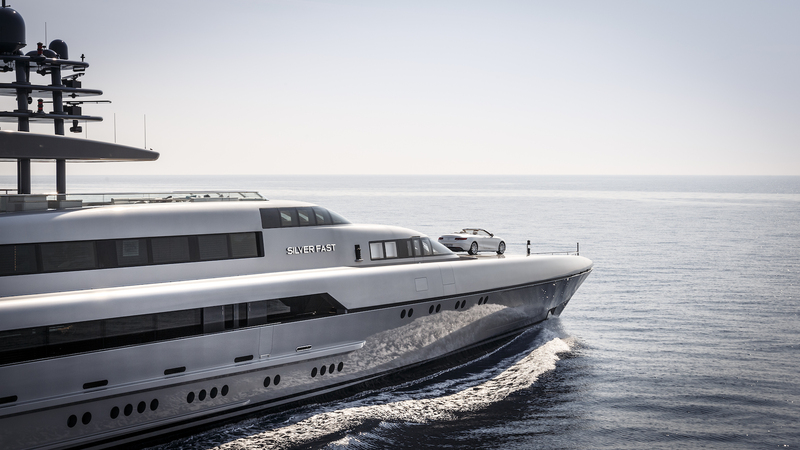 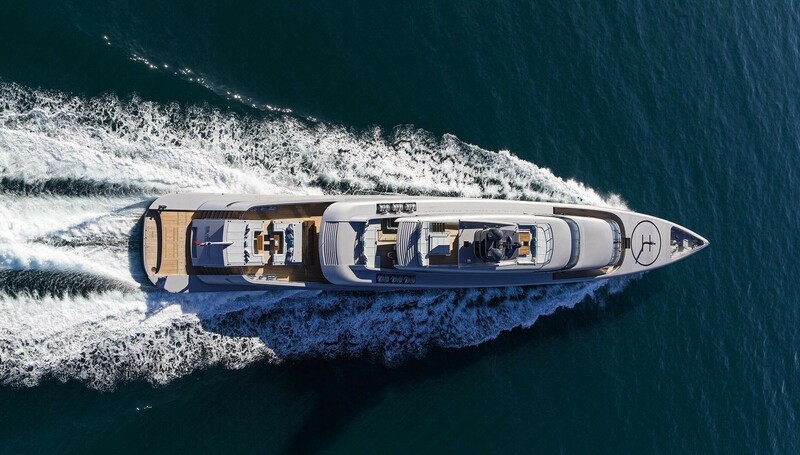 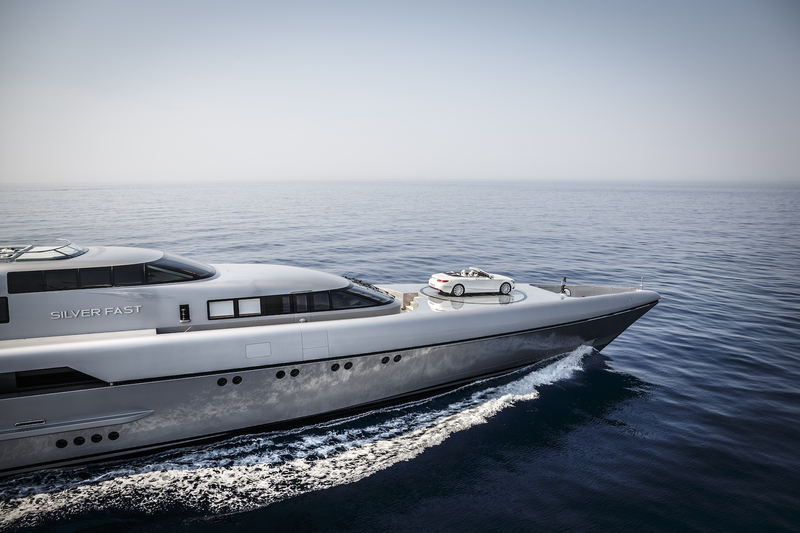 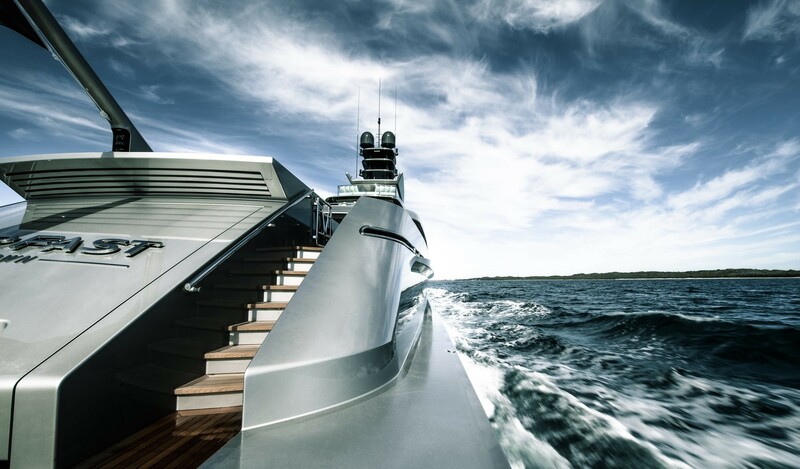 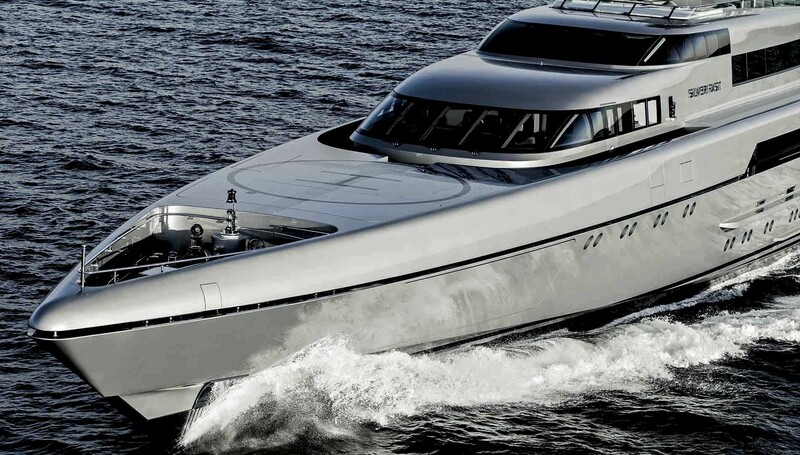 All-aluminium superyacht Silver Fast is driven by twin MTU 16V 4000 M90 diesel engines, reaching an amazing top speed of 29 knots and a cruising speed of 25 knots. 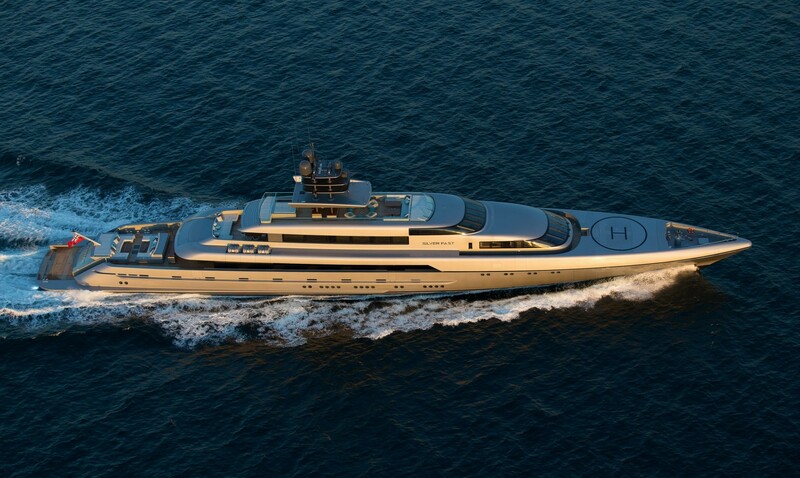 She features a beam of 10m (32'81'') and a maximum draught of 2,6m (8'5''). 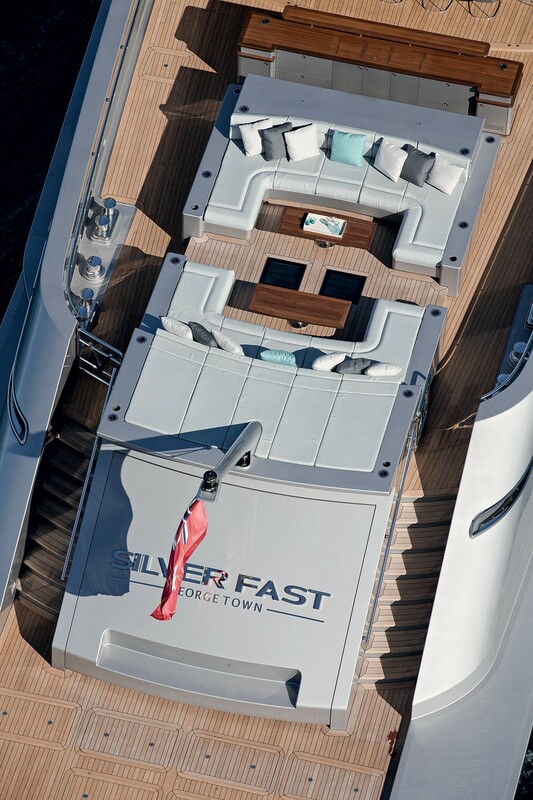 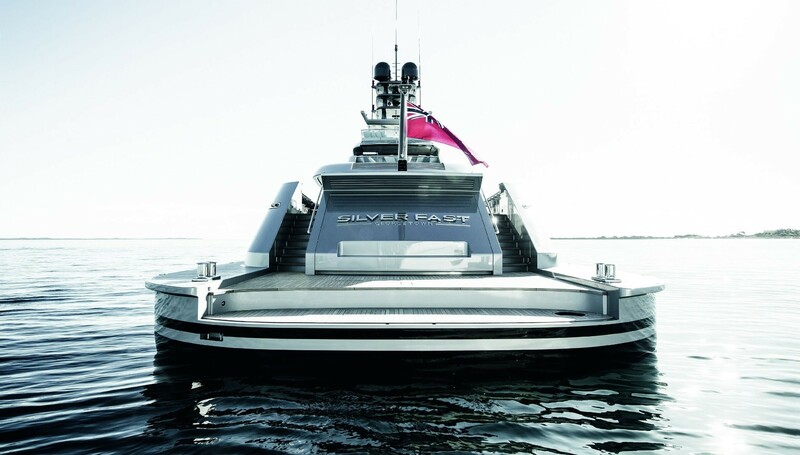 Silver Fast is built to Lloyds classification as well as the Red Ensign Groups new Passenger Yacht Code (PY Code). 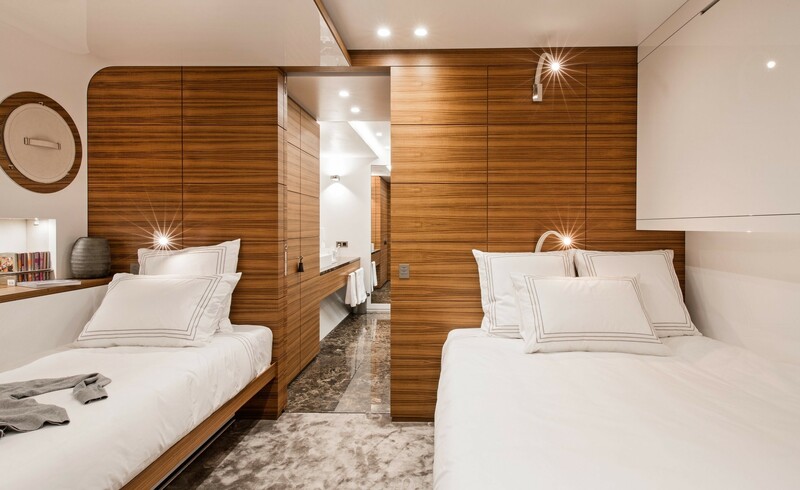 Accommodation aboard Silver Fast yacht is provided in an amazing Owner's apartment with lounge and large private deck, in addition to three double VIP guest suites, one double guest cabin, two twin guest cabins, plus pullman and one twin guest cabin.